This once in a lifetime gift is one that you and your family will treasure and pass down. Use it to store heirloom ornaments, keep holiday recipes handy, store your actual family stockings or dress up your bathroom counter for the holidays by filling it with toothbrushes, toothpaste, hair accessories. Make it even more memorable by having all the grandkids sign the board bottom. Made in the U.S.A.
Now you can keep all of your single-serve beverage cups smartly organized and accessible. 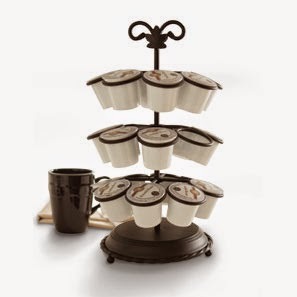 This carousel has the capacity to display 24 standard-sized single-serve assorted coffees and teas for your family or guests. It features a lazy-Susan base that rotates for quick access to every cup. The sleek and modern appearance is sure to accentuate any kitchen décor. Turn any bowl up to 11” into an air-tight storage container. This lid makes it easy to seal and store leftovers. It reduces the need for foils, plastic wraps and freezer bags that just wind up in the trash. The lid can be used to keep prepared meals warm at the dinner table or to quickly stow leftovers for later enjoyment. Simply place the cover over a bowl, gently press down and an airtight seal is created. Fits Fits 8-in-1 Entertainer Large Bowl, Grandma Bonnie’s™ Pie Plate, Large Mixing Bowl, Flameware® 4 Quart Dutch Oven, 10 ½” Braiser. Oven and dishwasher safe. 11”d. 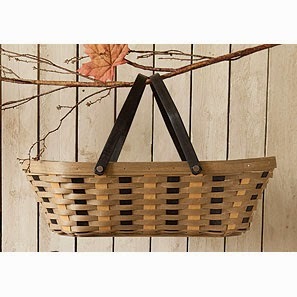 Go To Basket Khaki CheckWhat basket do you “go to” when you need to a helping hand? Designed to compliment our Khaki Check fabric, the new Khaki Check Go To Basket is just the thing for Saturday errands, homework, projects and school papers to sign. Perfect to carry all the items you pick up along the way to put back in their proper places! Protector available separately. 21 1/2″l x 13 1/2″w x 6″h; Rec. Wt. Use: 30 lbs. Horizon of Hope® can no longer be contained to just one month a year. 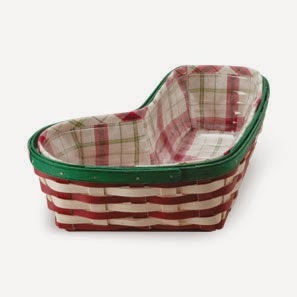 The Hope Inside Button Basket has a classic Warm Brown exterior with Dark Pink interior weaving. The American Cancer Society will receive $2 from each basket purchase. What a great way to show your support of such a worthy cause. It integrates with the Woven Traditions® Soup & Salad Bowl and Small Mixing Bowl. 7″d x 3″h, Rec. Wt. Use: 4 lbs. It’s about time that Santa’s hard-working reindeer find a home in your holiday décor. Each Reindeer includes 2 legs, a body, and antlers that lay flat for easy storage, when the real reindeer are back in the North Pole. Made in the U.S.A. 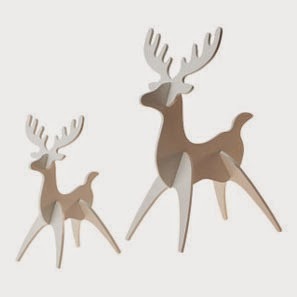 Available in Warm Brown, Bold Red or Whitewashed; Set includes one Small (7¾”l x 5½”w x 10½”h) and one Medium Reindeer (12″l x 9″w x 17″h). Must be same color choice. Made in the U.S.A. The images and text is property of The Longaberger Company. I helped write product copy and am using this to show an example of my writing skills.